It’s been a month i move back to Ubuntu as my primary OS. And i would like to write one of the most use command in Linux: “find”. This command is like a magic to search anything i want on my hard drive. I can find a text inside a file, or filter it for certain extension. I can search the files with latest modified time and also the file size. 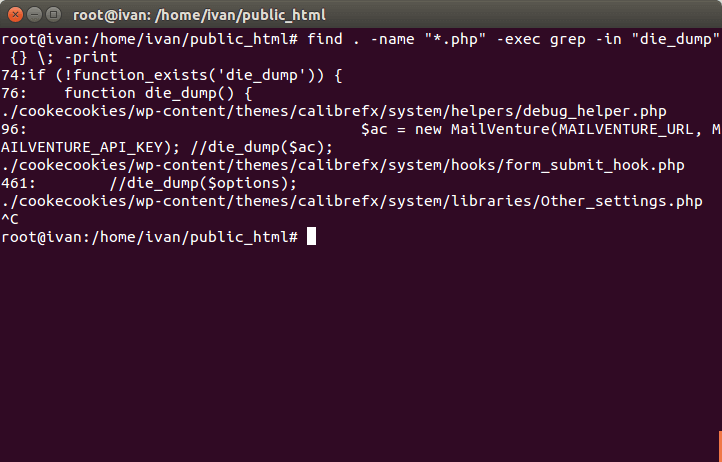 find /etc/ -type f -name "php.ini"
as partying in the different dockside establishments. fuels and electrical energy. Take cardboard boxes ashore to the dumpster as soon as you’re done.